Gluten can impede growth – is your child short? Lots of parents bring their children to see me because of short stature: that means they are shorter than expected. Classically, short stature is seen in children with celiac disease. It is usually attributed to nutritional deficiency. However, this cannot be the usual reason – because most of the children I see are not nutritional deficient – they are not loosing weight, and they have no bowel damge, although they have evidnce of gluten sensitivity. So why are these children short? Some of them come from short families – so they are genetically short. But more likely, gluten and the immune response to gluten is adversely affecting the activity of growth hormone. Many research groups report a dysfunction of the endocrine growth axis in children with CD. And likewise with gluten sensitivity. Every child with suspected growth issues needs to be checked out for celiac disease and gluten sensitivity. In these children a gluten-free diet might make a big difference. 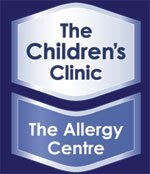 We investigate children with short stature and poor growth at The Children’s Clinic | Allergy Centre.